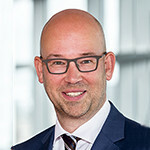 On 30 September 2014 the European Commission published its opening decisions in the formal investigations into transfer pricing agreements between Apple and, allegedly, Fiat and – respectively – Ireland and Luxembourg. The European Commission had already communicated these investigations through a press release issued on 11 June 2014. The current decisions explain the reason for these investigations, and specify the additional information which the European Commission has requested from the aforementioned Member States. Note that these decisions do not yet provide the outcomes of the European Commission’s ongoing, formal investigations in this matter. For more information in this respect, we refer to our PwC Newsalert.